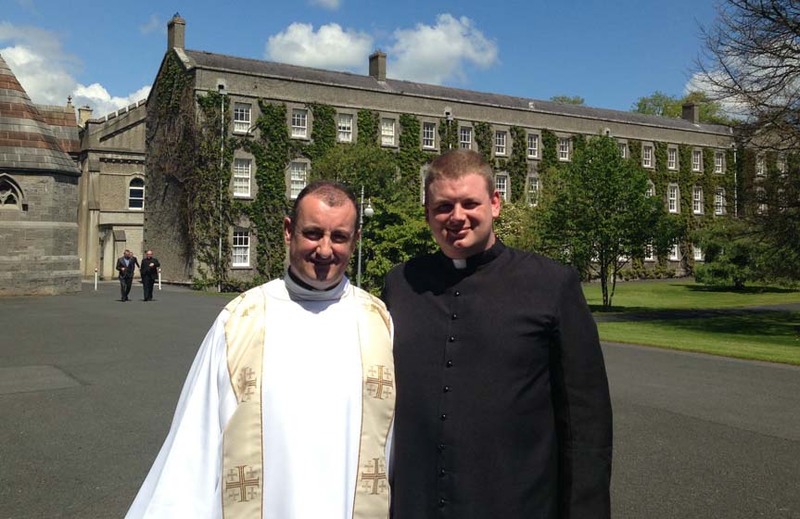 On Sunday, May, 26th, Sean Flynn, a native of the Parish of Keelogues parish, was ordained deacon at St. Patrick’s College, Maynooth, by Archbishop Diarmuid Martin. Sean is very well known in Castlebar town where he worked in the catering and undertaking business for a number of years. Congratulations to Seán and his family on the great occasion. 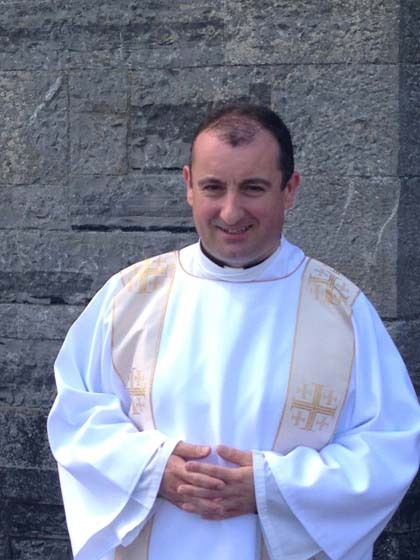 We very much look forward to his ordination to Priesthood, next year, DV! Go maire sé a nuacht!  All pictures by kind courtesy of Aidan Gallagher, Maynooth. 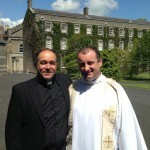 Picture No 2 – Rev. 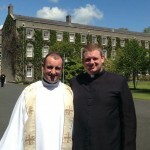 Seán Flynn along with Mgr. John Pardo, Rector of St. Alban’s College, Valladolid where Seán studied for his propaedeutic year. 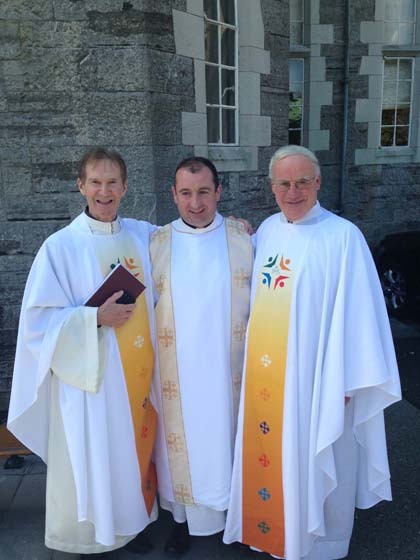 Picture No 5 – Canon Peter Waldron, Rev. 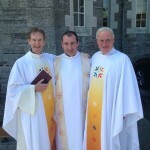 Seán Flynn, Canon John Cosgrove. 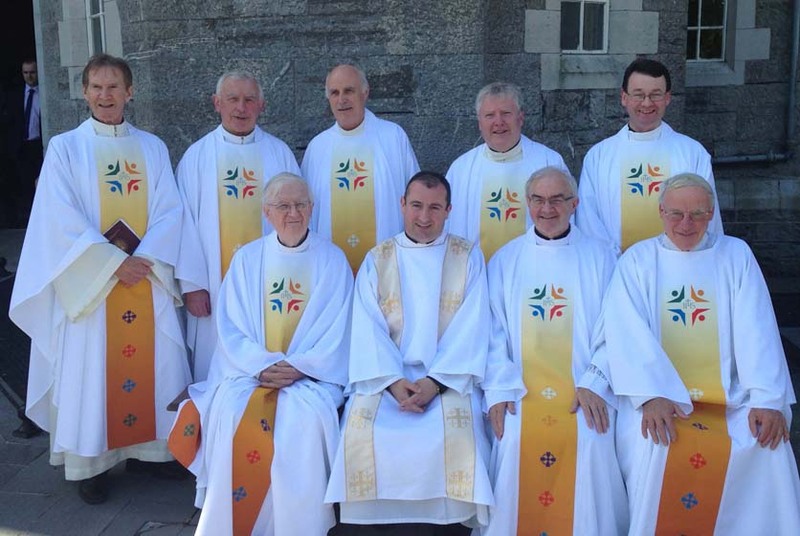 Picture No 6 – Back Row: Canon Peter Waldron, PP, Keelogues, Canon Tony King, PP, Athenry, Fr. 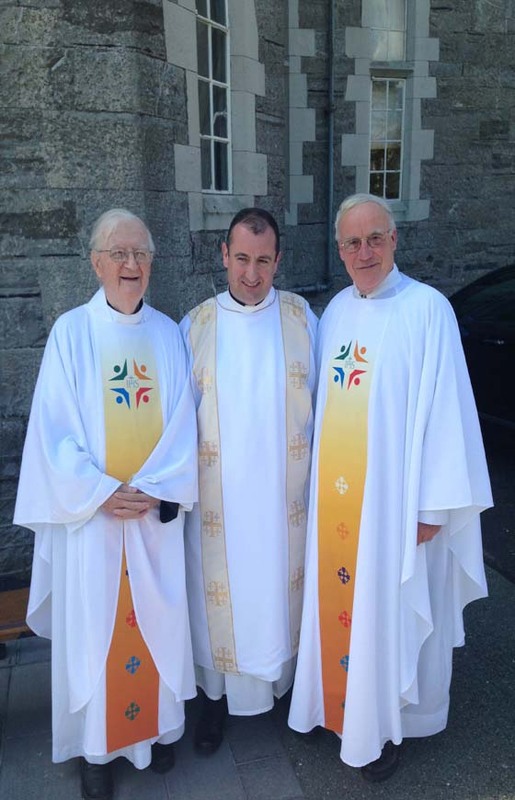 Tommy Murphy, Superior General of Columban order, Fr. 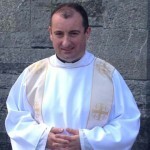 John O’Gorman, PP, Menlough, Skehana, Fr. Francis Mitchell, Adm., Tuam. 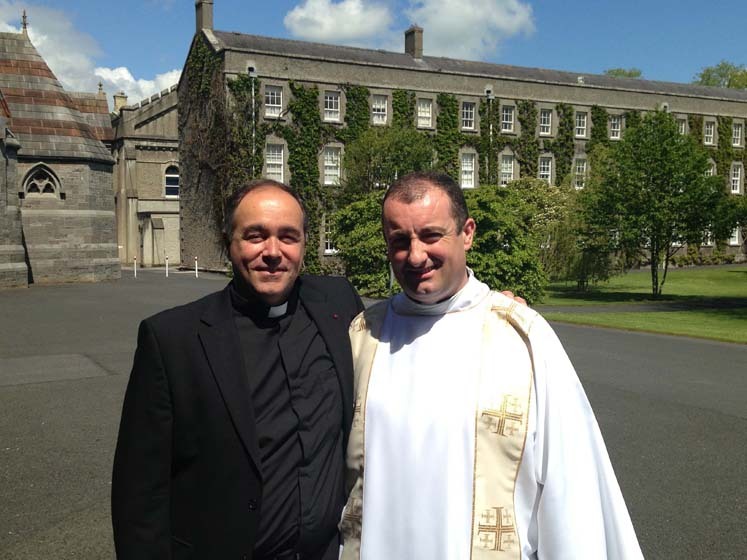 Front Row: Prof Enda McDonagh, Maynooth, Rev. 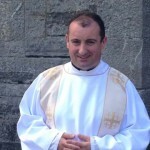 Seán Flynn, Fr. 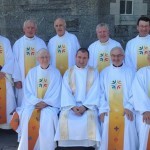 Joe O’Brien, PP, Abbeyknockmoy, Canon John Cosgrove, PP, Castlebar. Picture No 7 – Rev. 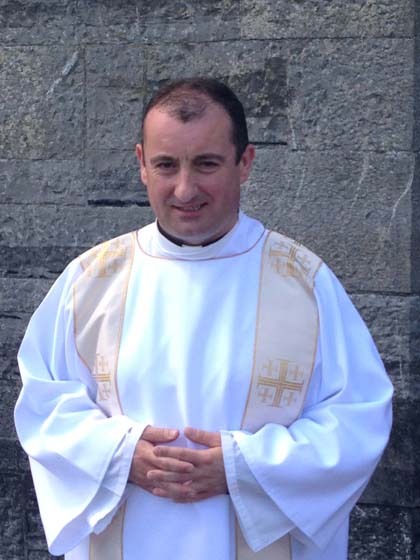 Prof Enda McDonagh, Rev. 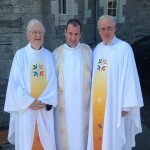 Seán Flynn, Canon John Cosgrove.